Food Adventures of a Comfort Cook: Homemade Hamburger Helper is a big hit. Homemade Hamburger Helper is a big hit. A couple of weeks ago I was feeling under the weather and the last thing I wanted to do was make dinner. Roy tries his best to help me out when I need it, especially if I'm not feeling well. I had nothing defrosted, so Roy went to the store and purchased one of those new "Cheesy Skillet Dinners" from Velveeta. It was one that required chicken, so he picked up a small package of Tyson Grilled Chicken Strips. He figured it would save time, since they were already cooked and he just needed to cut them into bite sized pieces. Roy prepared the meal while I read the directions to him. One of the ingredients was barbeque sauce and the box contained a small package of about 4 Tbsp; not much in my opinion. Anyway, he completed the meal and we tried it out. After my first bite, I divided what was left on my plate between the three dogs. Roy was more diligent and finished off his own portion. Now to be fair, my man tried his best and that is more than some people do for their sick spouses. Unfortunately, he picked a product that was below standard, but for a good reason, it sounded very much like a recipe that I had made from scratch. I called it "Gravy Train", namely because my ex-husband, who wouldn't know good food if it stood up and danced a jig, said it looked and tasted like dog food. 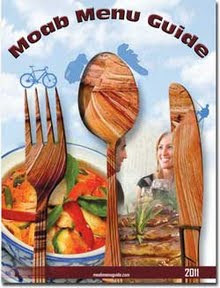 Just to prove him wrong, I sent the recipe into "Taste of Home" magazine and they liked it. 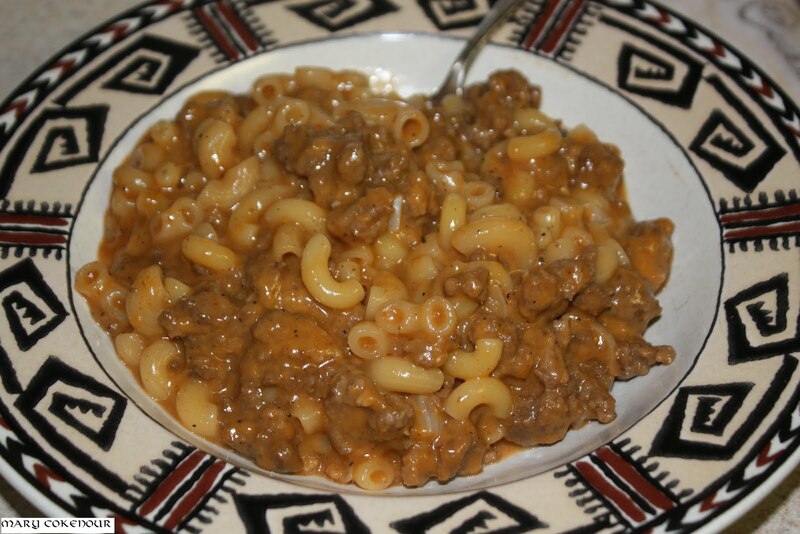 They renamed it "Beefy Barbecue Macaroni", printed it twice in two separate issues and in two of their recipe books. Online, you can find it plagiarized all over recipe sites and forums; but it's my original recipe, so lets get that clear. For yesterday's dinner, I finally made the recipe for him and he was in food lovers' heaven. So when it comes to boxed dinners, he won't be making that mistake again. Then again, I'm not allowed to get sick anymore either. So here is the original recipe; Enjoy! In a large skillet, cook the beef, onion and garlic until meat is no longer pink; drain. Add the macaroni, barbecue sauce, pepper. In a small saucepan, heat milk and butter over medium heat until butter is melted. Stir in cheese until melted. Pour over the macaroni mixture; gently toss to coat. Sprinkle with additional cheese if desired.